Probably one of the best aspects of living in Stockton is the city’s trees. 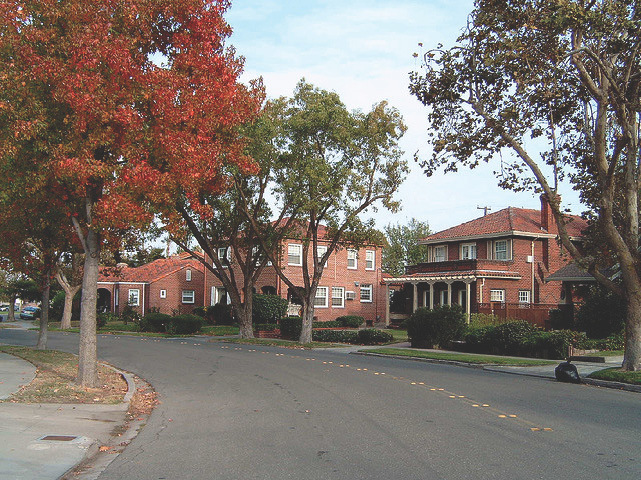 Stockton was once named “Best Tree City” by Sunset magazine and at one time planted 2,500 new trees each year. Sadly, I think Stockton’s trees are also taken for granted. Everyone knows that our trees provide for pleasant streets in older neighborhoods and great shade in the scorching summer months, but, perhaps unexpectedly, trees also offer a tremendous economic benefit, both to property owners and to the city overall. To cities, trees turn out to be invaluable economic assets. In Tennessee, a report by the US Forestry Service in Tennessee found that the state’s urban trees accounted for more than $638 million in benefits, stemming from carbon storage, water filtration, and savings in energy costs. A similar study on Stockton’s trees does not exist, that I am aware of, but with over 140,000 trees, I would wager that the city sees similar economic benefit from having such an extensive canopy. Without Stockton’s considerable number of trees, we would see greater pollution in the Delta, smoggier air and higher energy costs. While trees clearly provide economic benefits to the city overall, it turns out that trees can also raise the sales price of a home. A study conducted in New Kensington, Pennsylvania by the Wharton School at the University of Pennsylvania found a positive correlation between home sales and trees. From 1995 to 2002, the city of New Kensington embarked on an ambitious plan to revitalize neighborhoods through a comprehensive tree planting strategy, and the effects of this plan on property values were captured by the researchers. In this study, researchers found that, all else being equal, planting a tree within 50 feet of a house can increase the value by around 9%. Furthermore, houses within a quarter mile of a park had increases in value of about 10%. More recent studies back up the results of the New Kensington study. In Portland, a 2010 report revealed that properties with trees in front added more than $7,000 to that property’s sales price. The study also found that trees add the most value, $8,870, to be exact, when they are not directly on the property, showing that neighborhoods with trees planted by the city in planting strips on sidewalks bring in the most value. What is the lesson here? While homeowners can plant trees on their property to increase its value, the real benefits come from neighborhoods that are designed around public tree landscaping and parks. Having a tree on the property is great, but the data shows that people take into account the maintenance that comes with the tree. Where we see real increases in property value is when the city takes the initiative to landscape areas with trees and plan for parks nearby. Sadly, Stockton is headed in the opposite direction. Sprawling subdivisions, in their rush to squeeze in as many houses as possible during the housing boom, generally neglected to incorporate significant green spaces. Growing up in North Stockton, there was not a park for miles for me to go to. For Stockton’s established areas, budget issues have forced the city to cut back on maintenance, leaving the city’s mature trees vulnerable to invasive mistletoe, pests and generally harsh conditions. As a result, Stockton is in real danger of losing thousands of trees that could have otherwise been kept healthy. And it’s not just Stockton; tree cover appears to be on the decline in cities nationwide. The good news is, this is something Stocktonians can help fight against, and to a large extent, already are. Neighborhoods have the ability to organize their own landscape assessment districts where money is collected from residents to fund tree maintenance (See Michael Fitzgerald’s column from late last year). Understanding why our trees are important is the first step towards doing something to try and preserve them and expand the city’s canopy. Our trees not only provide an economic benefit, they also help give Stockton its character and hopefully, residents don’t allow the city’s financial woes to spell the demise of our urban forest. ← Stockton City Limits now on Facebook! First and foremost, thanks for your blog and information you provide. Stockton is in the process of developing a Climate Action Plan (CAP). I have encouraged the city and its CAP Advisory Committee to consider as a first priority the planting and maintenance of trees, as the most sensible approach to address our local responsibilities to mitigate emissions of greenhouse gases (GHG) I believe the city has spent something like $2m so far related to its CAP without any tangible benefit. Those costs consisted of legal fees, outside consultants and staff time. The costs were finance with unrestricted and restricted city funds, and with federal grants. If there were some cooperation and foresight by the various interest parties, I believe those funds could have been used for tangible benefits, specifically to plant and maintain our trees. At 3-31, you will find the provision to increase our urban forest. This is a very modest proposal. The draft report claims tree planting and maintenance will have a significant net cost and very little environmental effect. 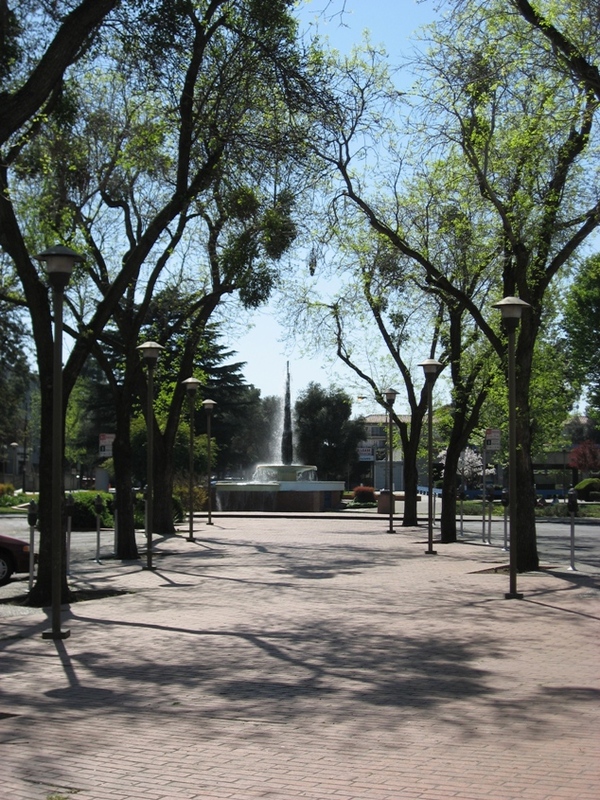 There are studies that suggest there is net economic benefit from expanding and maintaining urban forests specifically in our region, e.g., Tree Guidelines for San Joaquin Valley Communities (McPherson et al, Western Center for Urban Forest Research and Education USDA Forest Service, Pacific Southwest Research Station, March 1999). This report claims there are net benefits of 1-2k per tree. While I do not agree there are such large, actual economic benefits, I believe the costs are modest in relation to the benefits. I urge folks who believe in the value of trees to our city, to tell our city leaders to elevate the proposal to maintain and plant trees to the very top of the CAP list of local GHG mitigation measures. Next month, the city will hold its first public workshop on the draft CAP. The workshop is tentatively scheduled for 5/2, 6pm at the Stockton Civic Center, North Hall. This will be an opportunity for interested citizens to voice support for expanded urban tree planting and maintenance by the city of Stockton. Thanks for the insight, you clearly are very invested in the fate of our City’s urban forest. I have definitely seen the city’s CAP (and I encourage any readers interested in the city’s approach to environmental issues to take a look as well), and it is good to see that the report recognizes the economic and environmental impacts of trees. However, you are right to point out, the urban tree goals are modest at best, which is to be expected during these tough financial times: while planting and maintaining trees clearly has benefits, these benefits are not always evident in the short term, but they are real. This is why, as you point out, it is important for the community to stay involved and invested in the discussion regarding Stockton’s urban forest. And even going a step further, citizens can come together to take care of trees in their own neighborhoods, as I suspect tree maintenance funding from the city will not be restored to appropriate levels for some time.